Credits for design, production, editing and illustration. I decided to include my book dedication to my sons and acknowledgements of those that helped in it's creation. 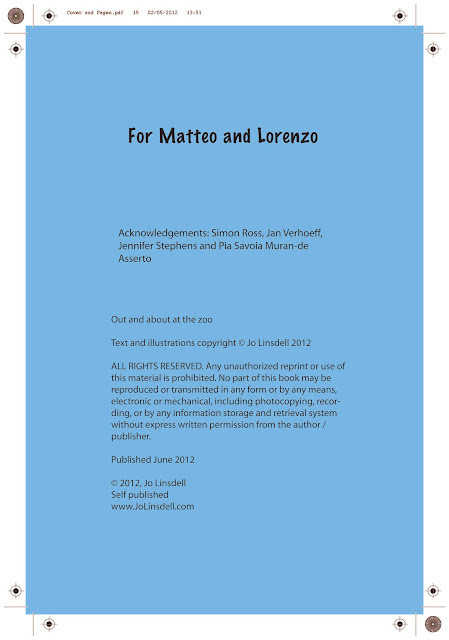 The title of the book and copyright message stating that the book was both written and illustrated by myself in 2012. I also included a text that protects my rights and the date of publication. My website address is also included so that I can be referenced and contacted easily. Where does the copyright page go? Always on the left hand page. In most books it's positioned across from the title page or on the back of the title page. The copyright page should either be a half page or full page (depending on the number of citations you need to include). 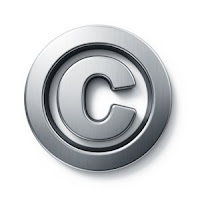 What information did you include on your copyright page?